Most of the time users need to wait for some time while accessing a particular website. Due to this reason they often leave a particular site without even completing a particular task. Don’t examine the “patience” of your targeted audience while trying to access the content of your particular website. But, examine to present them a seamless ride through the entire process by executing these site optimization tips on your Magento development. Here are some points which provide instructions for optimizing the performance of your website. Some are very basic steps/configurations changes only which will improve performance on the go. There are 2 data models in Magento: EAV (Entity Attribute Value – default) and flat. EAV is a kind of an agile model. It allows the user to add custom attributes as many as likes, but the problem with EAV is that it stores the data in many tables and in order to perceive the information your query will have various JOINs which is a bad performance. The flat model takes the attributes you have created with a system created attributes and creates a multicolumn table on the fly. So in order to comprehend the data, you will have to make just 1 simple SELECT query to db. In flat mode, you can change or add attributes but need to re-index which will be manually or will be automatically, depends on your configuration, and it will create flat table again. Flat data model use one table, so it’s not normalized and uses more database space. 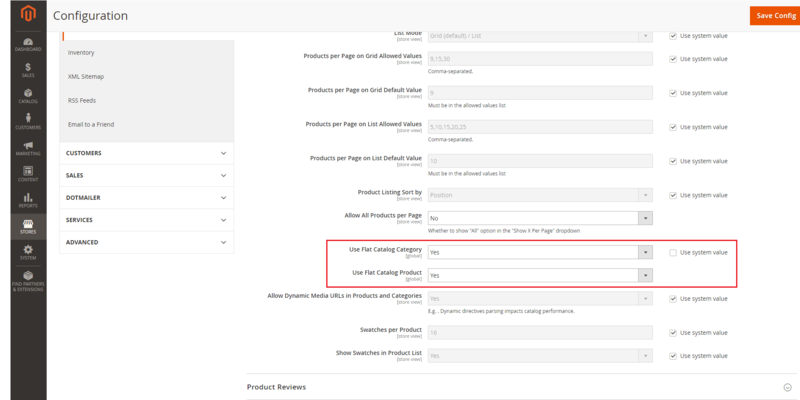 To enable flat catalog categories and products goto Admin Panel > Store > Configuration > Catalog > Catalog > Storefront and set ‘Use Flat Catalog Category‘ and ‘Use Flat Catalog Product ‘ value yes. To merge and minify CSS file goto Admin Panel > Store > Configuration > Advance > Developer > CSS Settings. Minification is not applicable in developer mode. When complete, Save Config and execute below command in command line to activate the change. Image size is important factor to improve performance of Magento 2 website. The image size is too heavy to upload on your site is one of the reason for the overload page. Hence compression image should be done before submitting any image. Magento 2 supports full page cache via varnish natively. Let’s setup varnish to get the first byte around 0.1-0.2s. 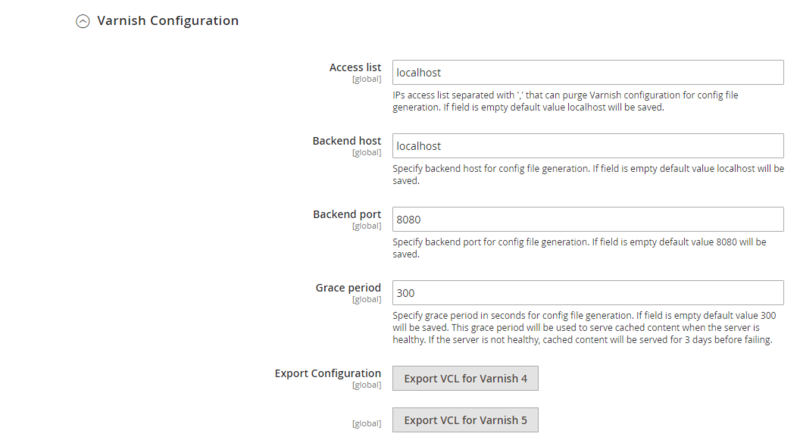 To setup varnish goto Admin Panel > Store > Configuration > Advance > System > Full Page Cache. 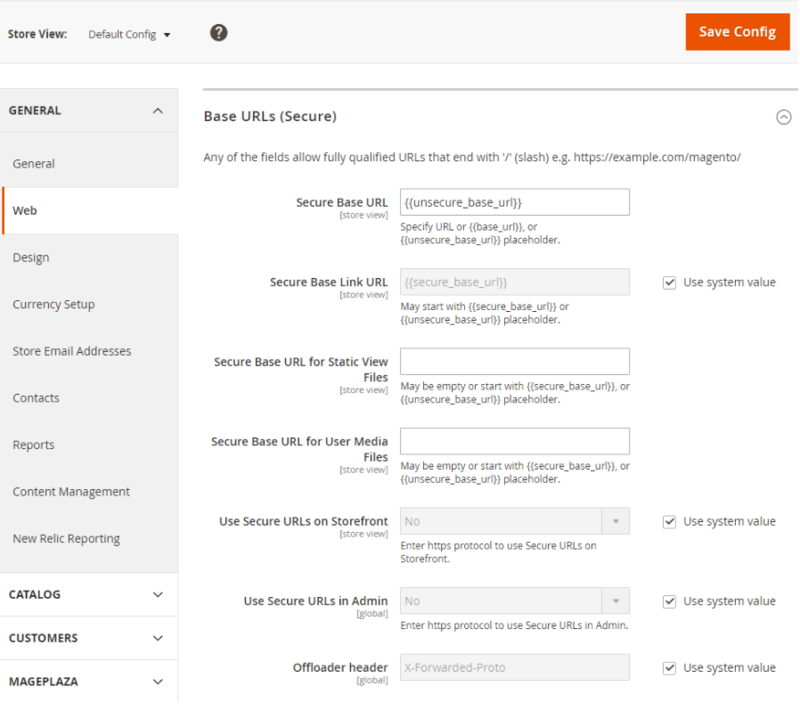 Remember to update Magento 2 that will try the best to help you optimize the site performance. Make sure, website runs on “production” mode while putting it on live environment. Developer mode will have a major impact on performance. Production mode enhances storefront responsiveness and blocks long initial page load times that can happen in default mode. If after doing all basic things, you still can find that your website is slow then you can enable Magento default profiling and find the culprit and take necessary coding level changes. Following software or servers can be used which will or help to boost the performance of any Magento web development services. Make sure that any unused / unwanted third party plugins are disabled / removed. It is recommended to enable and tune PHP opcache for maximum performance.